Talbot J. Taylor of 'Talbot House' in Cedarhurst pictured above in his new Mercedes in front of his residence and below, his newly built garage and machine shop. 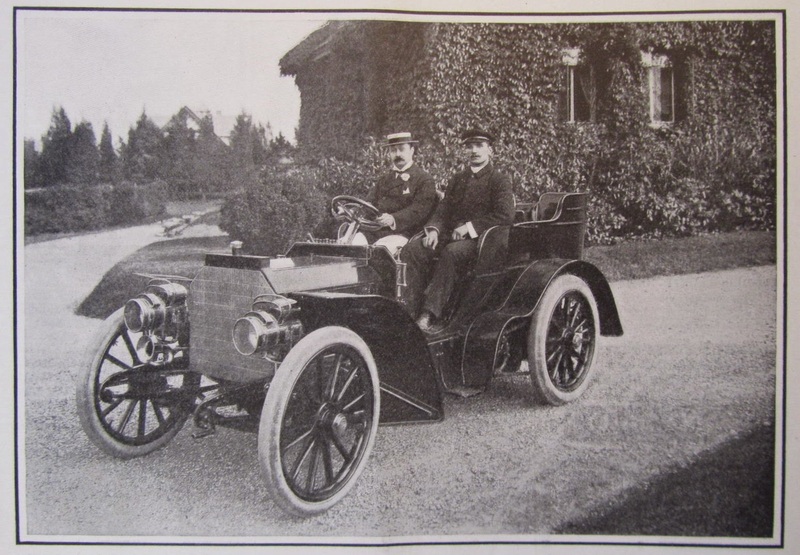 The 1902 Mercedes had 40 horsepower and could run up to 70mph. Click HERE and HERE for more on 'Talbot House'. Photos from Harper's Weekly, 1902. Great photos Zach!! Looks as if Talbot House needs a trim. In those early days the chauffeur most often was a trained mechanic as well. 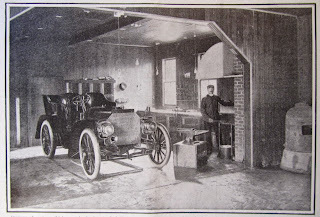 Here we see him aside his employer and also posed under the hood of the forge; there were no body shops back then and fender-benders were usually brought to a blacksmith for repair. The drip-pan under the garaged auto was no doubt a necessary item.